Where industry is growing in every aspect, booksellers are not going to be left behind either. Independent names such as Barnes & Noble, Borders Group and Amazon are all competing in the race to ace as the best sellers in the market. However, it is not about the popularity that counts; it is the quality and the price that is an equal package in this run. The three best known names battle in the game of gaining the most customers. At this stage, there are 2,000 series of bookstore locations and an extra 2,200 self-governing booksellers are available in the market. Where e-sellers have also started to evolve, this competition keeps getting tougher as more competition joins the race and the masses have more to choose from. Book sellers have no choice to but to be perfect just because the public now has other, maybe even better, companies to shift to. Barnes and Noble has a series of more than 800 bookstores and has the revenue of $4.7 billion annually. Whereas, Border Groups has round about more than a 1,000 stores and makes an amount of $3.8 billion annually. Amazon, an Internet retailer is running the most as it makes $15 billion annually, being the first to cross the lines in the prospects of selling. These differences clearly tell of the picture the sales have of these individual names that run in the same industry. With the times emerging and recession hitting various parts of the world, Barnes & Noble was hit by a cut down of 20% in the profit margins and Borders experienced worse financial circumstances before capital infusion has to be transmitted to save the company. This damaged the company and it experienced the lowest economies of scale it possibly could. Where Amazon is an online business, they continued to live an easy life as it sold efficiently still staying on top of the list. With the current circumstances of these companies, it is difficult to say where they stand. 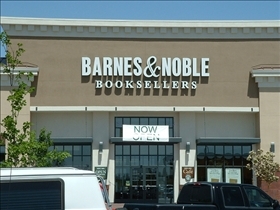 Where Barnes & Nobles is on a better scale than Borders Group, it was rewarded the Best Books award in the year 2009. However, the annual revenue for Amazon clearly states which bookseller has taken the lead for good. Anyone and everyone can trust a reliable name such as Amazon. It is a known bookseller and therefore, you cannot be cheated or ripped off. 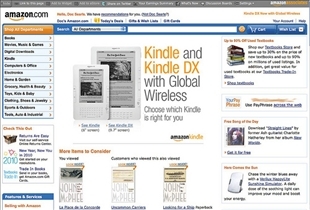 You can even sell your books on Amazon that can be taken as an extra point. It is mainly factors such as sales and price, which influence a bookseller's demand, and Amazon has exactly both. With the following of loyal book readers, Amazon remains to be the best one can have. Which bookseller has the best selection? I enjoy Amazon.com and the library for my book needs. I have purchased a few at Barnes and Nobles which is nice and close to where I live. But if I can read it online or check it out at the library; that’s my primary sources. amazon has really good deals on kids books. i've tried to buy books barnes and noble which they show in their system but don't carry?? how weird is that. You know why B&N make more money, because they run off of customers who have more money than sense. They charge for a membership program that most of their customers won't buy enough books to make worthwhile. And generally their prices are higher. I can get coupons regularly from Borders and spend a lot less, their membership program is free and does much better for me. If they don't have a book you need, they'll order it for you and ship it to the store for free. Their customer service is good. I prefer it when people don't approach me in a store asking if I need something. If I need help, I'll ask you. Otherwise please leave me be. Borders is a much cozier environment, probably because it's smaller and has a generally nicer atmosphere. All around Borders is a better store, but if you just want something concrete, look at how much less you can spend at Borders vs. B&N. If they make their membership program free, the fine. Maybe I'll look at them again. But I will say that overall, Amazon tends to give better savings than both and when they ship, things get to you quicker. Your figures are very dishonest, with Amazon you include ALL the other items they sell, from cosmetics to lawn furniture and garden equipment, which is 80% of their revenue. Barnes and Nobel sells more BOOKS than anyone else, but you make it sound the other way around. DISHONEST! I went to Borders today during lunch and bought three books. Total with tax was $61. I then went to the office and looked up the same three books at Amazon.com. The total was $31, free shipping, no tax. It's a no brainer. I returned the books at Borders and saved $30. I buy most of my books(new)through Amazon. All are in perfect condition, so I must disagree with your statement. I also buy used through them and the description of condition has always been accurate. I spend aprox $150 a month on books. I have never been disappointed. Walmart vs. Amazon.com: Shopping For a Bargain? Tattoo vs. Piercing: Where will your next Tattoo go? 1-800-Flowers vs. ProFlowers: Which is better?